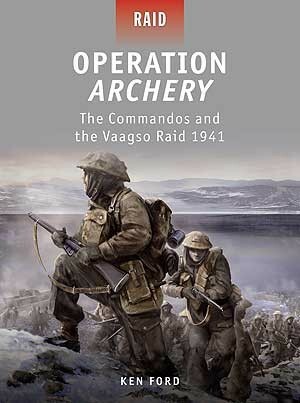 Operation Archery, the raid on Vaagso and Maaloy in Norway on 27 December 1941, was the first true combined operation carried out by British forces involving the Army, Royal Navy and the Royal Air Force. The Islands of Vaagso and Maaloy on the Norwegian coast between Bergen and Trondheim, were selected because they offered a perfect opportunity to damage German installations and morale. Mountbatten, the new head of Combined Operations, hoped to eliminate the local garrison, destroy the fish oil factories and sink enemy shipping. The raiding force consisted of No. 3 Commando, two troops of No. 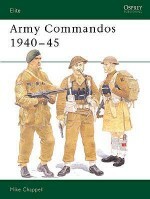 2 Commando, a medical detachment from No. 4 Commando and a Royal Norwegian Army detachment totalling 51 officers and 525 men. To support the amphibious raid was a flotilla of warships and low-level bomb attacks by the RAF. 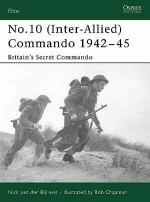 The raid was launched on Christmas Day 1941, taking the German defenders entirely by surprise. German resistance was stiff, however, and a fierce firefight ensued. 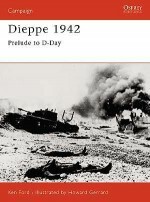 Relive the nail-biting action of one of the great raids of World War II in this exciting book, packed with maps and photographs. Ken Ford was born in Hampshire in 1943. He trained as an engineer and spent almost thirty years in the telecommunications industry before a change in career led him to become a full time military historian. 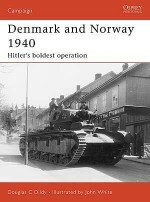 He is the author of over twenty books on various aspects of World War II. Ken now lives in Southampton.Howard Gerrard studied at the Wallasey School of Art and has been a freelance designer and illustrator for over 20 years. He has worked for a number of publishers and is an associate member of the Guild of Aviation Artists. He has won both the Society of British Aerospace Companies Award and the Wilkinson Sword Trophy and has illustrated a number of books for Osprey.